This convertible semi-flush features a classic design with metalwork finished in oil rubbed bronze and a beautiful light amber glass shade. Includes 6-ft of chain and 10-ft of wire for easy conversion to a pendant. The Deep Rust Finish Of This Collection Sets The Backdrop For An Elegant Array Of Hand-Blown Glass Florets. The Neatly Wrapped Bouquet With Drops Of Amber And Clear Crystal, Add Distinguishing Design Elements, Indicative Of Italian Creativity. 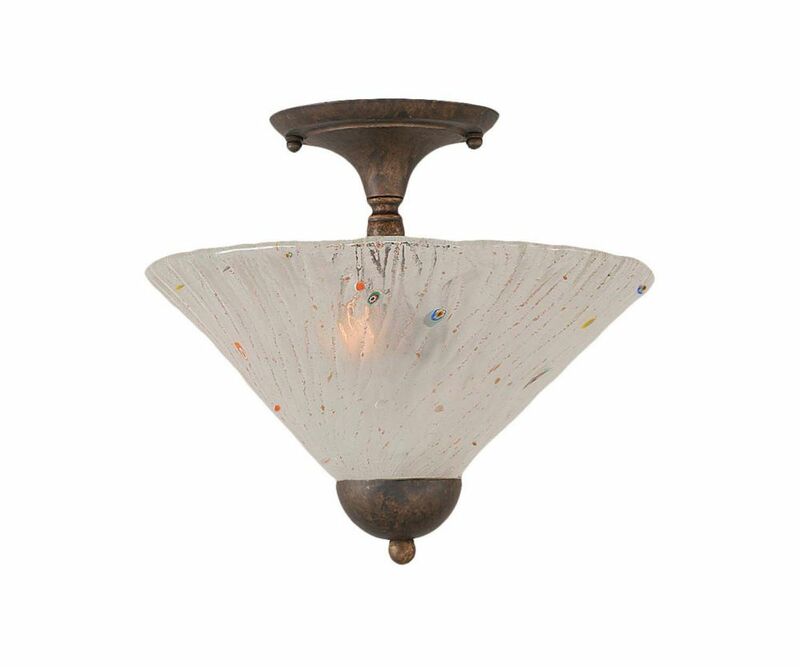 Concord 2-Light Ceiling Bronze Semi Flush with a Frosted Crystal Glass The cornerstone of the concord Collection is quality, and this semi flush is no exception. Combining a classic bronze finish and posh styling, you will find no better way to highlight the charm of your home. With the superb craftsmanship and affordable price this fixture is sure to tastefully indulge your extravagant side.